1. Habits are not as simple as they appear. Making changes would be much easier if we could just decide to modify a habit and our brain played along with our request. 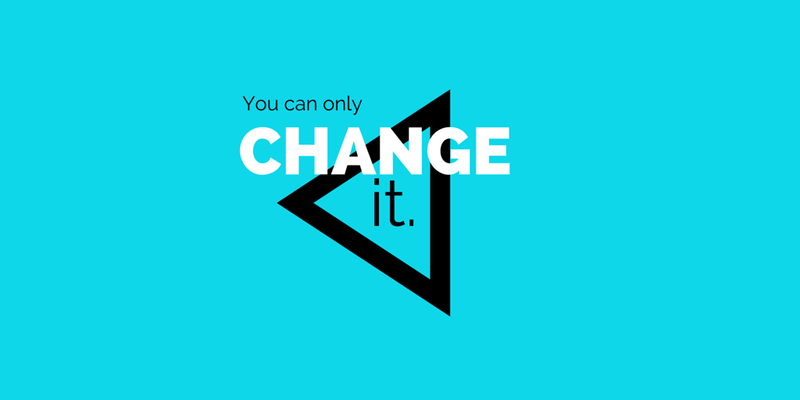 Deciding to change a habit is only the first step. It takes more than intention and willpower to rewire our brains when it comes to habits. 2. 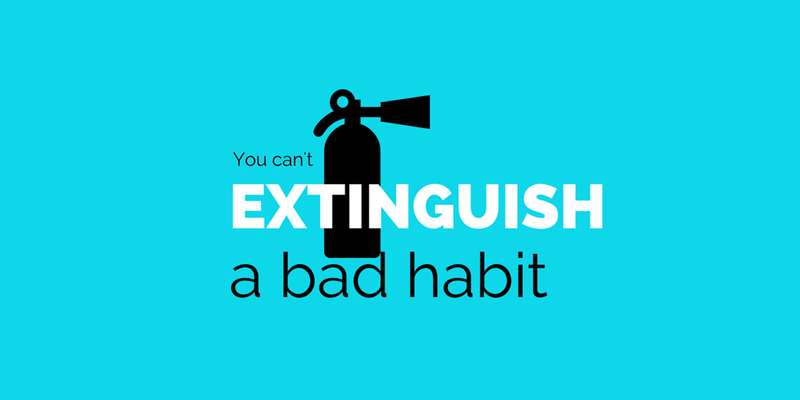 You can’t extinguish a bad habit, you can only change it. I’m sure all of us have had a New Year’s resolution to stop doing ______. How did that work out for you? Now, at least we can understand why it is so hard. When a new habit forms, the brain stops participating in the decision making process. So, while habits are not our destiny, we do have to actively fight them. Since our brain can’t distinguish between good and bad habits we must play an active role in keeping and developing the good and uprooting the bad. Simply understanding the three step process for how our brain deals with and forms habits makes them easier to control. To me these make the most sense in scenarios. One of my favorites from The Power of Habit was the story of Claude Hopkins and how he improved the dental hygiene of the nation (or at least normalized the use of toothpaste) with his Pepsodent habit loop. The cue was the dingy film on people’s teeth, which triggered the habit–routine of brushing teeth–and resulted in the reward of the tingling sensation customers associated with their clean teeth. 4. Habits are powerful but delicate. We cannot assume people, including ourselves, will be rational in their actions. In fact Dan Ariely highlights stories and research cases where the exact opposite is true in his book, Predictably Irrational. 5. Keystone habits have the power to transform everything. For many this is a habit, like exercise, not only led to other related positive habits, such as eating healthy, but also things like charging less on credit cards. The keystone habit is like the first domino in a pattern of changes. Based on my own habit conquering quest, I think keystone habits are powerful because once you start to see changes you realize it really works. Change really is possible and that is empowering. 6. 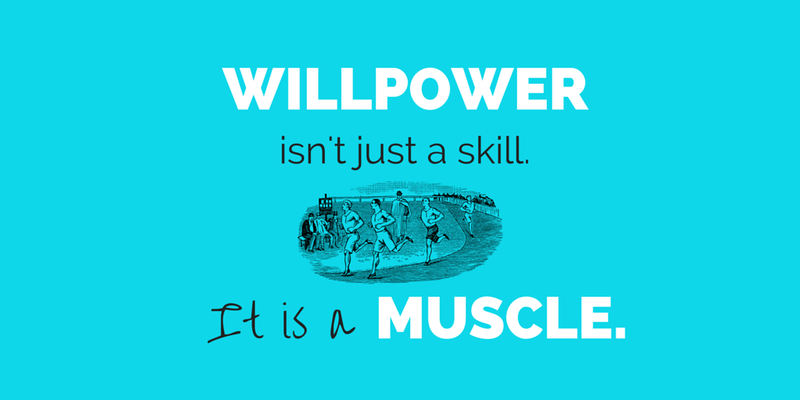 Willpower isn’t just a skill. It’s a muscle and it gets tired. Willpower is a finite resource. This is a key to why morning routines matter so much. 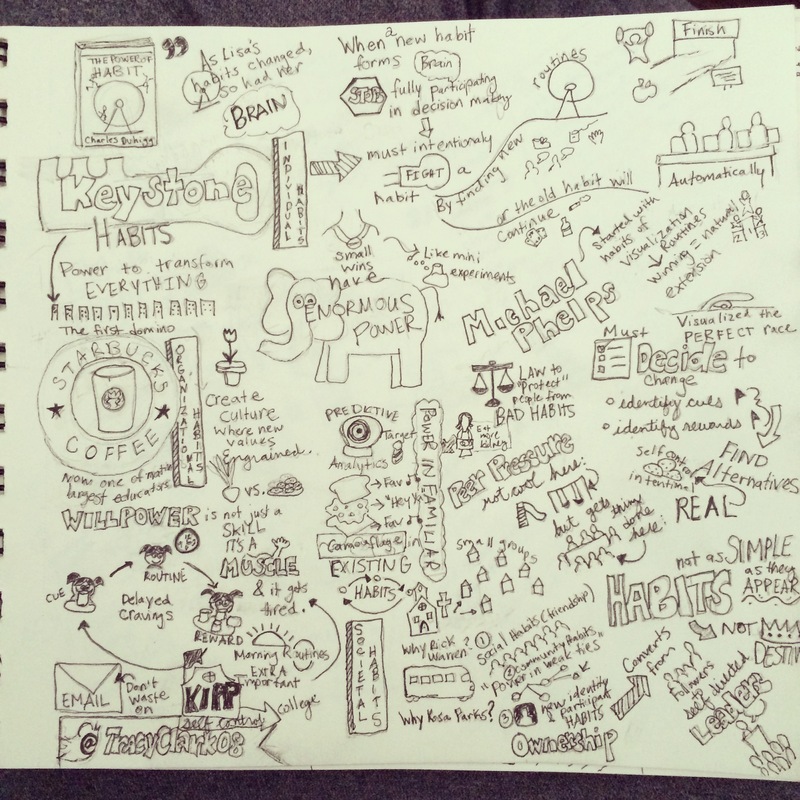 Don’t waste your creative juices and willpower on email or other mundane tasks. The limits of willpower also helps explain why reverting to negative habits often occurs when people are under the influence of something or tired. Keep your willpower tank in check and full, especially when you know you will need it. 7. Champions don’t do extraordinary things. They do ordinary things without thinking. Michael Phelps visualized swimming the perfect race so habitually that winning became a natural extension of his preparation. Tony Dungy built habits so ingrained in his players that they became truly automatic. Players on the other teams couldn’t keep up because they had to think as the ball was snapped, something Dungy’s players were able to bypass once the habit had taken over. I remember a similar point made in Malcolm Gladwell’s, Blink, where seasoned firefighters saved their teams by getting out of situations moments before it would have become deadly. When asked how they knew the circumstances were about to turn, the veteran leaders weren’t even able to pinpoint it themselves–their brains automatically reacted based on experience and habit. 8. Identity and ownership can convert people from followers to self directed leaders. When it comes to societal change, leaders must “give participants new habits that create a fresh sense of identity and a feeling of ownership.” I see this one at play a lot–classrooms, boardrooms, dining rooms. When leaders are able to nurture the agency of the participants and empower them to take on the cause personally, it becomes sustainable to support the cause on the front lines. 9. Small wins have enormous power. Each time you respond to the cue with your desired routine you get closer to creating your habit. Eventually your brain doesn’t even have to work to “decide” to respond with the routine at all–you just tie your shoes and go for a run, or floss your teeth, or choose the apple, or read instead of watch TV. 10. There is nothing you can’t do if you get the habits right. I think this one speaks for itself.